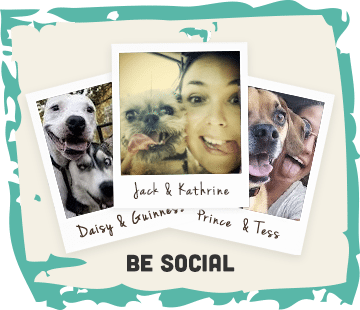 Thank You to Barks & Bijoux for this lovely article. 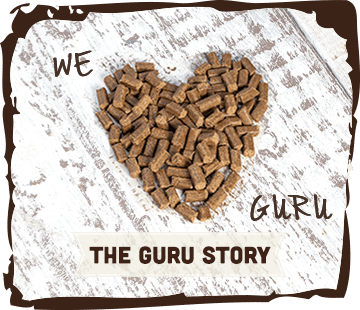 We have been following the adventures of Guru Pet Food for a while now, and were intrigued by their ‘cold pressed’ method, where premium ingredients are ground, then gently mixed together before being pressed at low temperatures to ensure that the valuable nutrients don’t get lost in the cooking process. 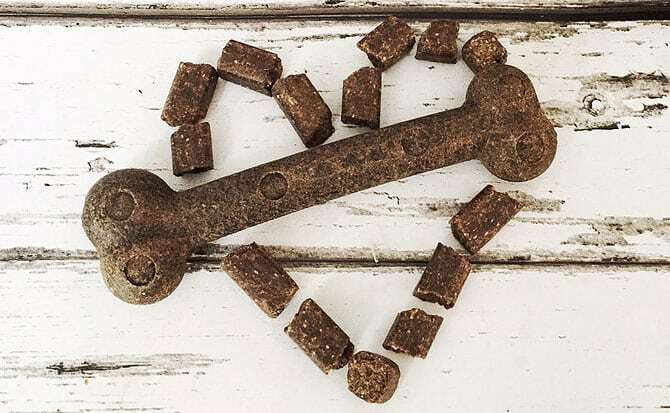 We love Lisa & Andrew’s dedication to giving dogs the best diet possible and we were thrilled when they asked us if we’d like to try a sample* and Mabel was very excited when the postman delivered her beautifully packaged treats. 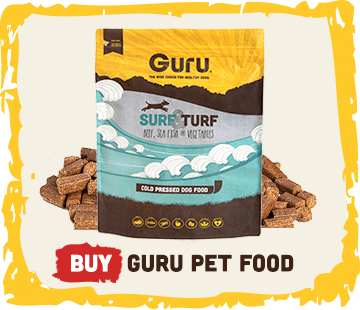 Guru’s complete food for dogs comes in a ‘surf and turf’ flavour which is Lisa’s favourite when ordering out at restaurants, and it certainly didn’t disappoint Mabel either who loved it on it’s own; mixed with a little warm water and for a breakfast treat on top of some scrambled eggs. She also loved their Field Trip bone, crying loudly at me while she waited (not at all patiently) for me to hand it over! This is the same cold pressed food in a bone shape and is ideal for those mealtimes when you are away from home, or for an extra treat.